'You’ll be king of the universe', they told me. 'The whole world cheering you on'. Honestly? I don’t hear them. 'They’ll be glued to the telly', they told me. 'The whole world watching you'. 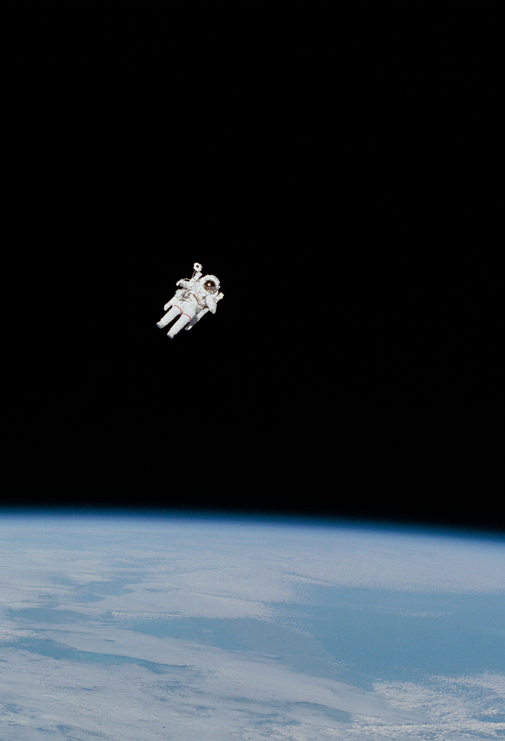 One space walk is much like another. snowdrops are appearing in the garden? waltzes to the slightest breeze. that the mother ship ploughs on without me? Are they laughing? I think it’s laughable. 'We are masters of the universe', they told me. Honestly? There’s no one here to read it. This ‘king’ feels smaller than a molecule. I can see the world that spawned me. Will anyone miss me? I doubt it. They’re wrapped up in troubles of their own. will their snowdrop blooms survive? whiter than a space suit; eternal. I’ll dream of them until my air runs out.